Weaknesses. Next the analysis looks at the opposite of strengths: potential risks to profitability and long-term viability. These might include high employee turnover, weak internal controls, unreliable quality, or a location that’s no longer advantageous. 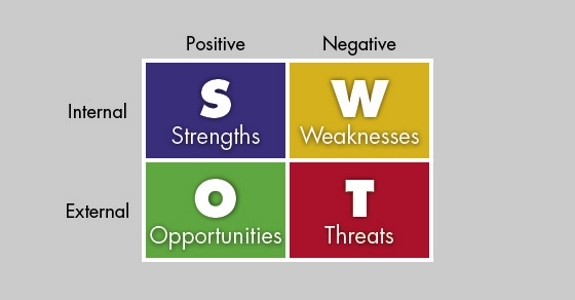 Typically presented as a matrix, a SWOT analysis provides a logical framework for better understanding how your business runs and for improving (or formulating) a strategic plan for the year ahead. Our firm can help you gather and assess the financial data associated with the analysis. A good marketing plan should be like a network of well-paved, clearly marked roads shooting out into the world and leading back to your company. But all too easily, a business can get stuck in the mud while trying to build these thoroughfares, leaving its marketing message ineffective and, well, muddled. Here are a few indications that you might be spinning your wheels. While a marketing plan should take many avenues, sometimes when a business finds success via a certain route, it gets overly reliant on that one approach. Think of a company that has advertised in its local phone book for years and doesn’t notice when a competitor starts pulling in customers via social media.